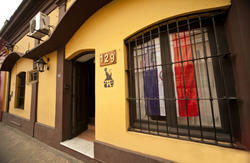 In downtown Asuncion, close to historic places, comercial centers, universities, etc. With full access to public transportation. 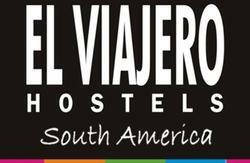 The best hostel for a comfortable and pleasant stay. 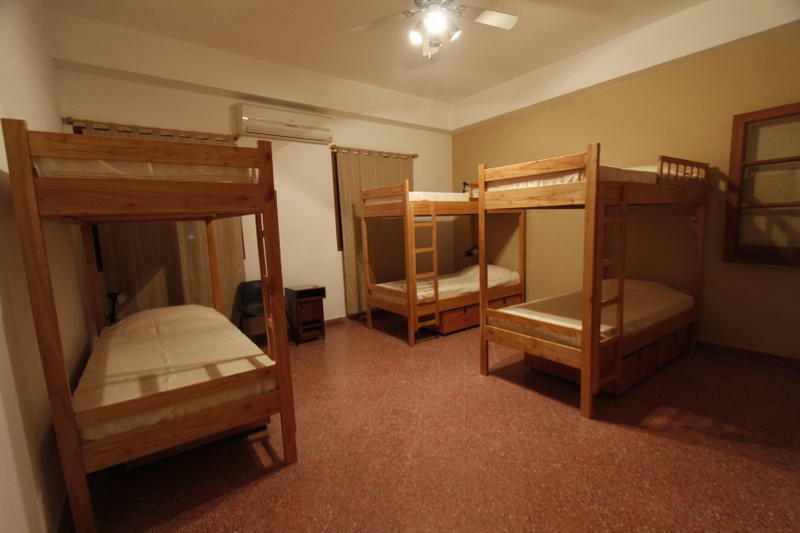 Our hostel offers spacious and clean rooms with comfortable beds, private lockers and reading lamps. Some rooms have private bathrooms. The hostel has a lounge with cable TV, patio and terrace. You could take a public bus, number 30. Get off on the street Presidente Franco and 15 de Agosto. From there, you should take the street 15 de Agosto and walk to the opposite side of the river 5 blocks and a half, until you get to the house number 783. It could take from 40 to 60 minutes. Bus costs Gs. 2300 (50 US Cents) and they run until about 10PM. Or, you could take a taxi. It could take 30 minutes, depends on the traffic. Prices are not negociable because all vehicles use taximeter. The cost from the airport is about Gs. 100,000 (25 USD). All taxis in Asuncion charge 30% more at night on the amount on the taximeter. Almost any buses heading for the city centre takes you 2 blocks away from the hostel. Get off on the street Gral. Diaz and 15 de Agosto, at the comercial center 'Asuncion Supercentro'. Take the 15 de Agosto street until you get to the house number 783. Or, you could take a taxi. It could take 20 minutes, depends on the traffic. Prices are not negociable because all vehicles use taximeter. The cost from the bus station is about Gs. 60,000 (14 USD). All taxis in Asuncion charge 30% more at night on the amount on the taximeter.